[...] There's no faulting soprano Sookhyung Park [...] who sang a heartfelt, pschychologically concentrated Daphne, riding the swirling, euphoric orchestra lines with never a crease in the pearly sheen of her lovely sound. [...] The production also looks good. Leslie Frankish set was simple -- a forest of streamers and leaves -- but lyrical; Gerald King's excellent lighting effected its own varied metamorphose; and Trompert moved people around on stage without fuss. [...] Once again Pacific Opera Victoria has found something different and presented it with style. 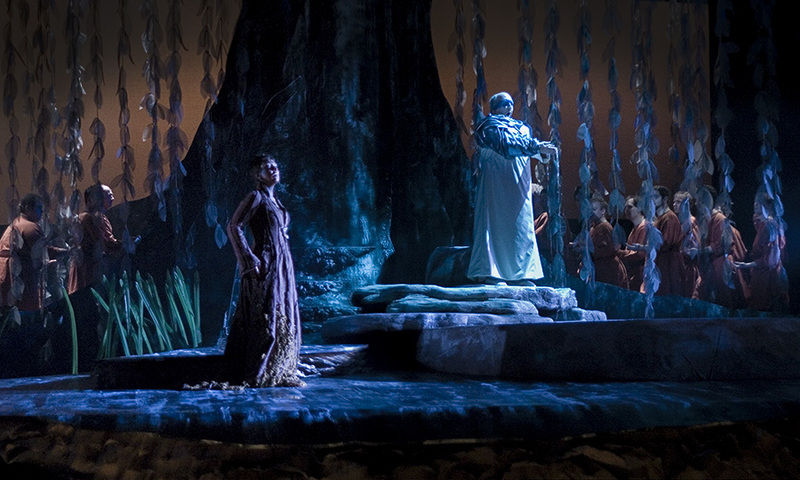 [...] Richard Strauss's one-act opera Daphne, based on a Greek legend, was first performed in Dresden in 1938, but this is its Canadian premiere and if you are even the faintest opera fan, don't myth it. It's a gem that pulls at the heartstrings and offers everything from moody, mesmerizing sets to soaring voices and convincing acting talent. 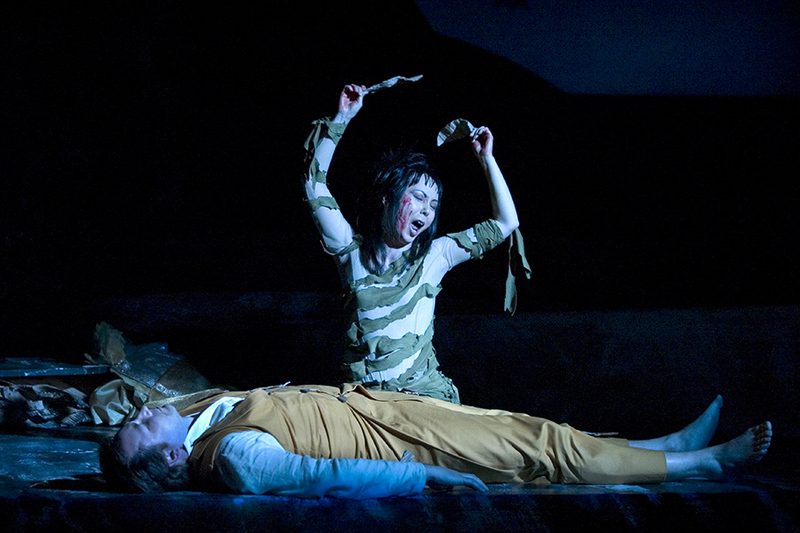 [...] New York coloratura soprano Sookhyung Park gives a striking performance as the other-wordly nymph Daphne. Her first aria, a hymn to nature and the sinking sun, is beautiful, pure and ethereal. Her later terror is palpable when Apollo kisses her, in a supernatural setting which sees him covering her like a bat against a tree, all exept her glowing face. The rapturous final scene of her union with nature is marvellously inventive as she winds herself up in leaves, while delivering ecstatic, ringing notes. [...] 'Wim Trompert's bold and imaginative direction brings out the darkness of the story as well as it's wild dreaminess, making this a highly entertaining opera'. [...] Strauss's late opera receives a magnificent [ Canadian] premiere production with this superbly sung, beautifully produced, and brilliantly directed performance, another triumph for Pacific Opera Victoria. As ever at Victoria, the assembled cast of singing-actors, abetted by Wim trompert's brilliant directorial hand and Timothy Vernon's inspired conducting, offered a compelling, and ultimately overwhelming, theatrical experience. I felt I was watching a dream. [...] In Wim Trompert's direction there was not a single false step: everything was concentrated with laser-like intensity upon theatrical impact achieved without distrations, without gimmickery, and with obvious and total respect for the music, the composer, and the intelligence of the audience. [...] Seeing this live was one of the experiences of a lifetime of opera-going.